A second police vehicle then. I don't know quite what it is about this and the previously featured '68 Mini police Cooper S that piqued my interest, but I suspect that it's the notion that these stylish automobiles would have seen such interesting things in their time on the road. A good amount of the cars featured here are showcased for their design, rarity, or incredible engineering, but I think there is space for those "normal" vehicles that are elevated to something special by their somewhat unique histories. 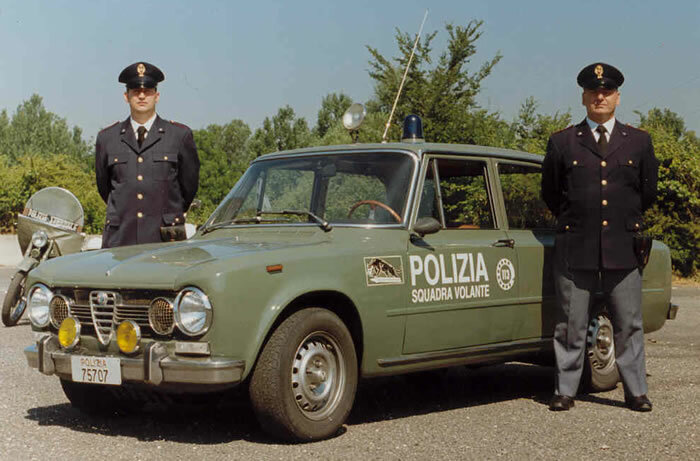 This particular car is a careful restoration of of a Guilia Super to correct polizia specification, with its vintage police radio, blue light on the roof, emergency siren, and that olive livery over tan vinyl. 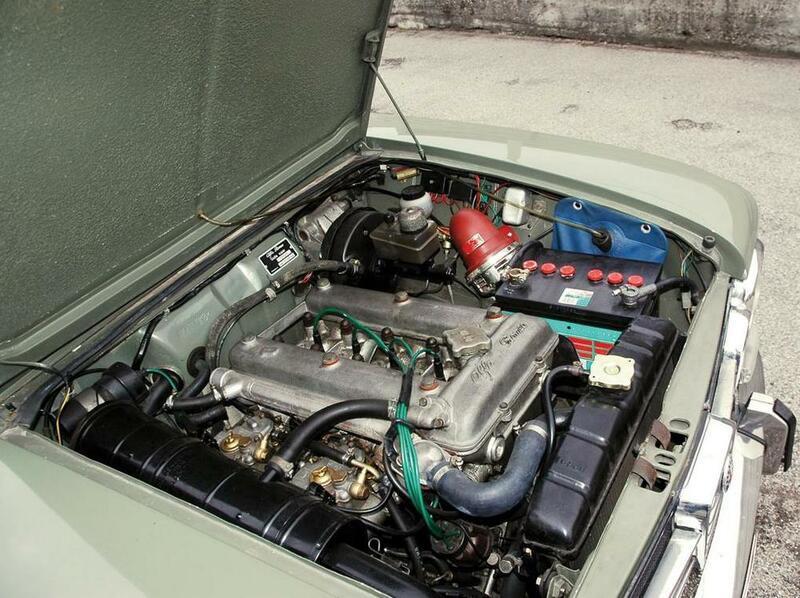 With looks straight out of a movie set, and the accurate restoration done, it makes sense that it was chosen to appear in the Italian film The Story of a Massacre, which tells the story of the investigation into the 1969 Piazza Fontana bombing in Milan. 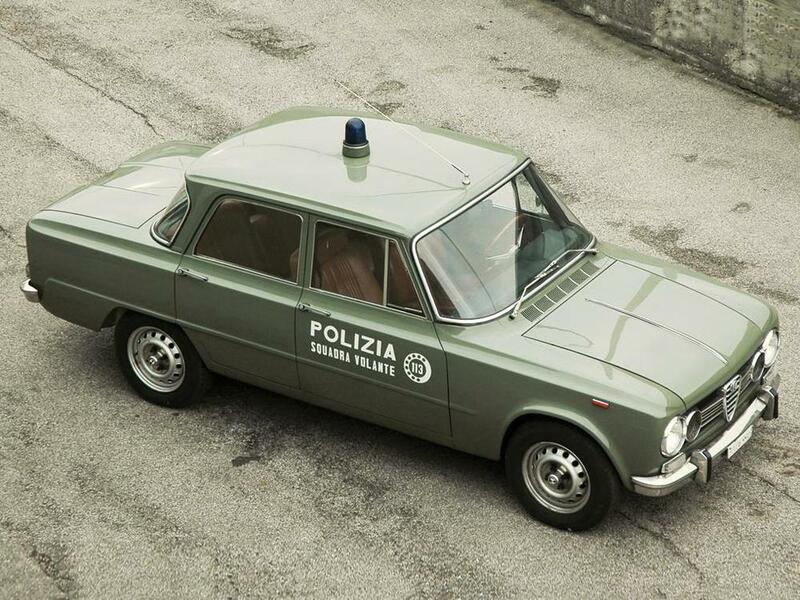 These Alfa Romeo Polizias were a ubiquitous sight on the Italian roads in the 1960's and 1970's, and I love the image created by the well-dressed carabinieri alongside the stylish lines of their squad car. I know if I were a young graduate back in the 60's, I doubt it would have taken much to recruit me - with the promise of driving one of these beauties around all day and getting paid for it. 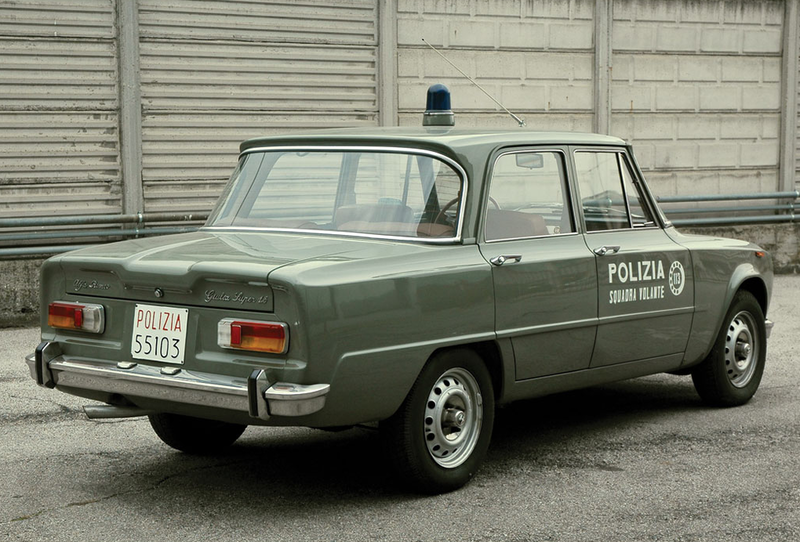 Watch a pair of Guilias in action, chasing down some baddies trying to lose the cops (with a wonderfully strange choice of initial getaway car) after what seems to be a kidnapping of some sort in this old Italian film.